Ever Wonder How We Set the Life Limit? To obtain an STC on a life-limited part such as a rotor blade, the FAA requires several types of testing to be performed. 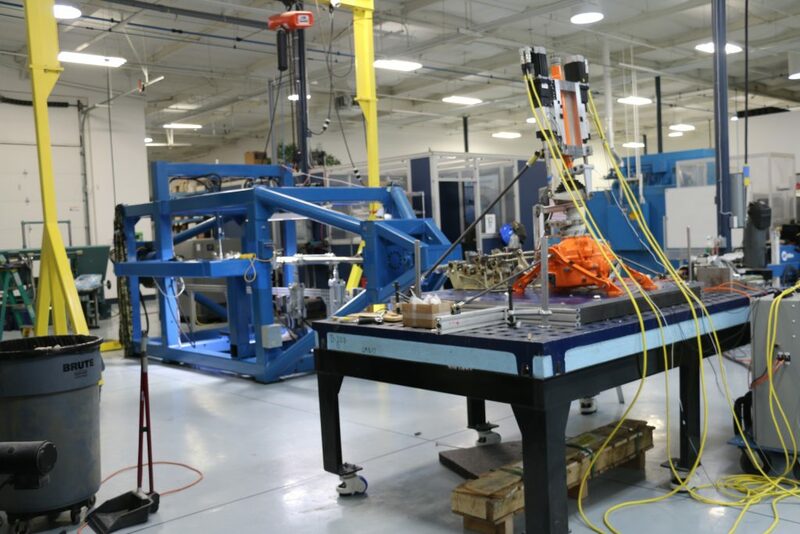 As a requirement for FAA certification, VHA designed a fatigue test fixture to pull, push and twist the blade, simulating ground-air-ground cycles and other flight forces that a blade endures during its life. 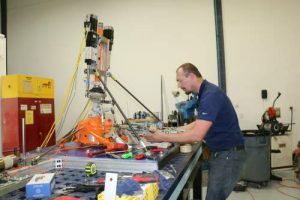 Our fatigue test fixture, dubbed “Big Blue” has been modified over the years for various blade programs. Depending on the blade length and the forces being applied, Big Blue may sit horizontally or vertically. The blade root is securely fastened to one end Big Blue’s massive steel beams. Hydraulic cylinders apply loads to the blade at strategic points to faithfully replicate flight forces. The data acquisition system records load data and counts the cycles Big Blue runs the blades through their paces for hours…and hours…. and hours! At the end of the fatigue test program, the data is compiled, analyzed and sent to the FAA. Engineers at the FAA assign the service life based on the number of blades tested and the number of cycles the blade endured during the test. Check out our YouTube Channel to see more fatigue test videos!